Live performance based on an interactive sound installation setted up for BYOB (Bring Your Own Beamer) in Milan (14/09/2011). 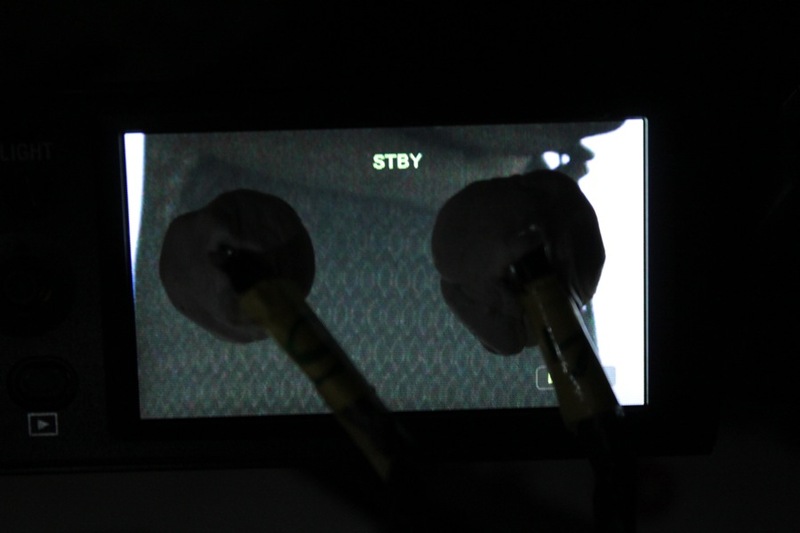 The system consist in two light sensors sticked on the video camera screen, sending their data to a Pure Data patch through Arduino, and controlling the synthesis of various abstract sounds in response to the specific light intensity framed by the video camera. Performing, I just shift the camera around the exibition space, selecting one, a part, or more videos at the same time. Here below you can listen to a brief sound documentation of the installation/performance.